A sore throat can be extremely unpleasant for anybody experiencing it. 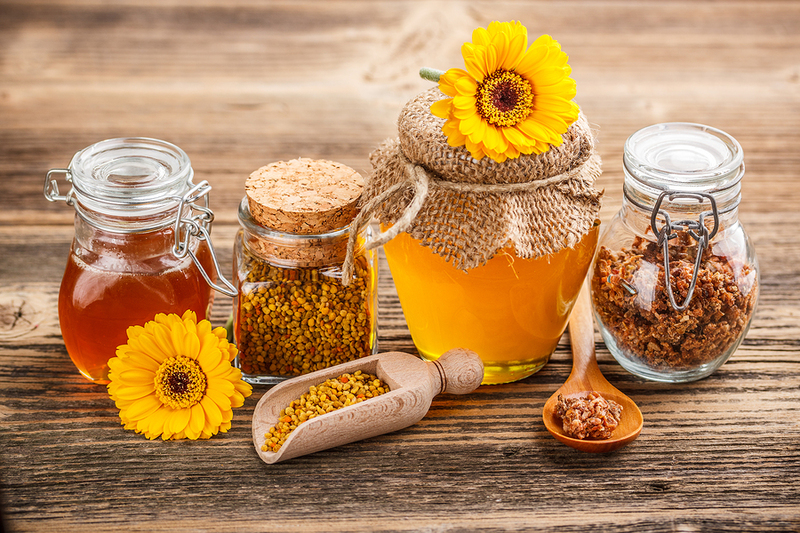 While there are a lot of conventional drugs that can provide relief to your symptoms, we strongly suggest you try the following home remedies. Next, we will explain why. This condition is characterized by difficulty in swallowing, itchiness, tingling, dryness or heat. You may have viscous mucus that forms in your throat which will force you to strive for eliminating them, especially in the morning when you wake up. Very often you may encounter a dry, irritating and tiring cough. Drugs will only give people a temporary relief while natural remedies will heal your condition. And they act faster in most cases. Most of them require simple ingredients. You only need the desire to heal and the will to follow the next home remedies for a sore throat because, in the end, your pain will be history. It is well known that honey has an antiseptic and antibacterial effect. 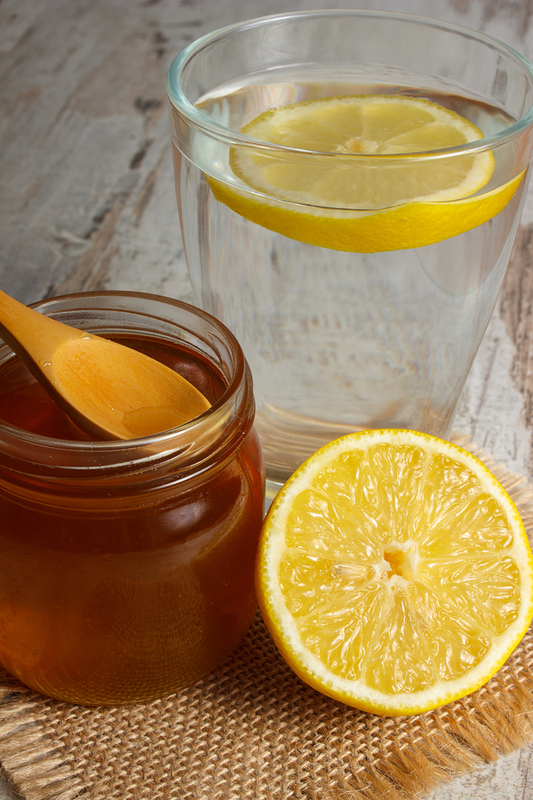 This remedy has been used for centuries as a natural cure for a sore throat. Besides it tastes amazing. Make sure you use only raw honey that has not been preheated or melted. In this case, it will lose all its beneficial properties and will have no effect against it’s pain. Here are six recipes you may use. Juice the lemon and combine it with two teaspoons of honey. You may also add two teaspoons whiskey or cognac (not suitable for children, though). Pour the hot water and mix well. Drink this liquid with small sips, enjoying the taste. Pinch the lemon and combine the juice with the honey. Take ½ teaspoon of this mixture few times throughout the day, leaving it to melt in your mouth. You will get rid of sore throat pain in maximum two days. Mix the two ingredients. Take one teaspoon several times a day, keeping the mixture in your mouth until it melts. 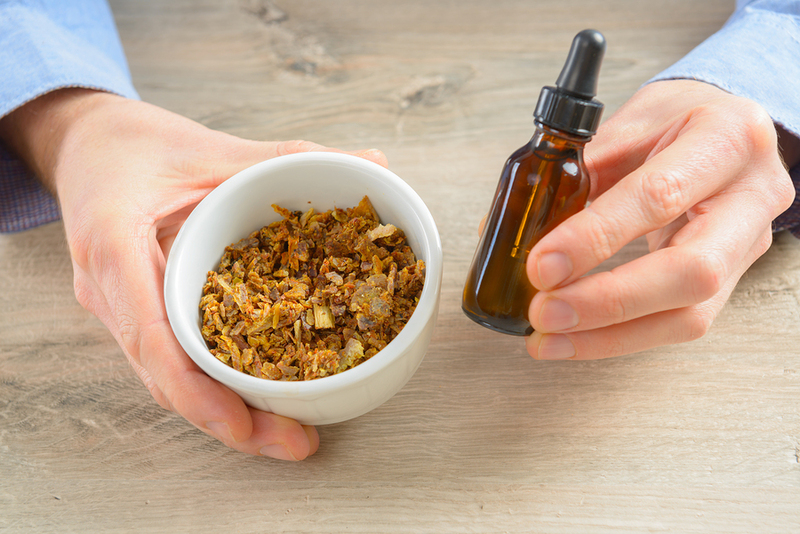 If you wish, you may also chew a small piece of raw propolis for at least five minutes. It will get soft and stick to your teeth, and you will have to brush your teeth more responsible than you usually do. But you’ll get rid of your sore throat. Tough choice, right? 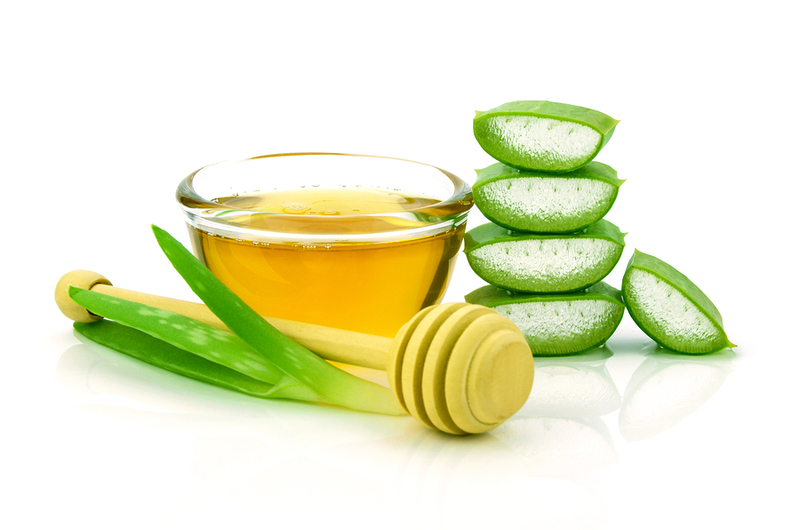 Aloe contains substances that stimulate the formation of phagocytes and antibodies that fight against pathogens. Several studies have shown that the gel found in the plant fights against several types of streptococci, Candida albicans, herpes simplex and others. Furthermore, aloe has a soothing sore throat effect. I like to keep my aloe plant in a pot because it also purifies the air. So it ‘s nice to have this herb in your house for various reasons. Info: The aloe vera plant must be 3-5 years old. Don’t water it five days before you pick up the leaves. Mix all the ingredients(raw honey, dried propolis, and aloe vera) in a glass jar. Keep the jar in a cool, dried place for five days. Take one tablespoon of the mixture 2 hours before breakfast and lunch for the first five days. Beginning with day 6, take one teaspoon of the mix 2 hours before breakfast and lunch, too. Use this remedy to treat your sore throat for minimum two weeks and maximum two months. You may repeat it after a seven days break. Get the closest you can to a sore throat cure and strengthen your immune system at the same time with the help of following bee products. The following is a 2 in 1 homemade remedy. Pinch the juice from the lemons and strain it. 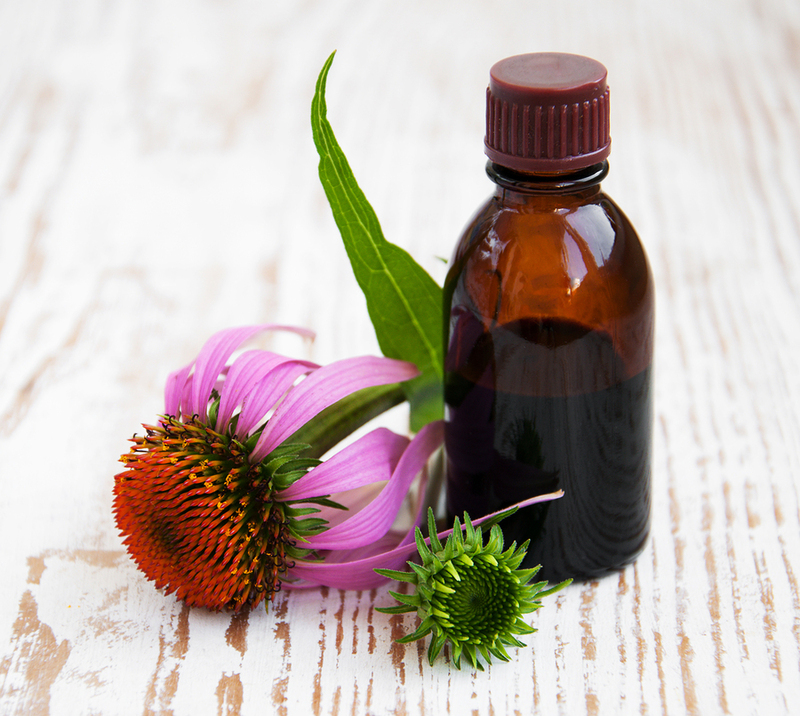 Combine the pollen with the echinacea tincture and the lemon juice in a large glass jar. Put the lid on and set off for 2 hours. Fill the jar with honey and add the royal jelly. Stir well before each use. Take one teaspoon of this mixture each day until it’s done. You know that sauce that spices up your food? And sometimes brings tears to your eyes when used in excess? 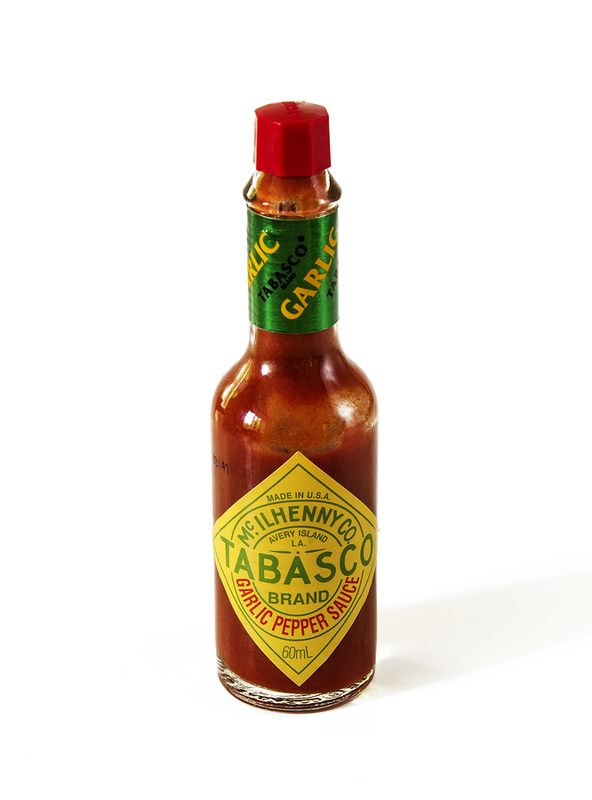 If you want a hot gargle relief for your sore throat, you may use Tabasco sauce. Children must not use this remedy. The chilies used for the preparation of this sauce contain a hot substance called capsaicin which is also antiseptic and fights against viruses. Mix well the two ingredients. Gargle and spit all the mixture. Be careful not to swallow it as it is very hot and you risk a stomach ache and irritation. People can also use in other ways to fight against an ugly sore throat and to stop the cold from spreading in your body. Place the chili seeds in hot water and soak for 20 minutes. Add the honey and stir well. Drink in small sips. This mixture will act quite fast. 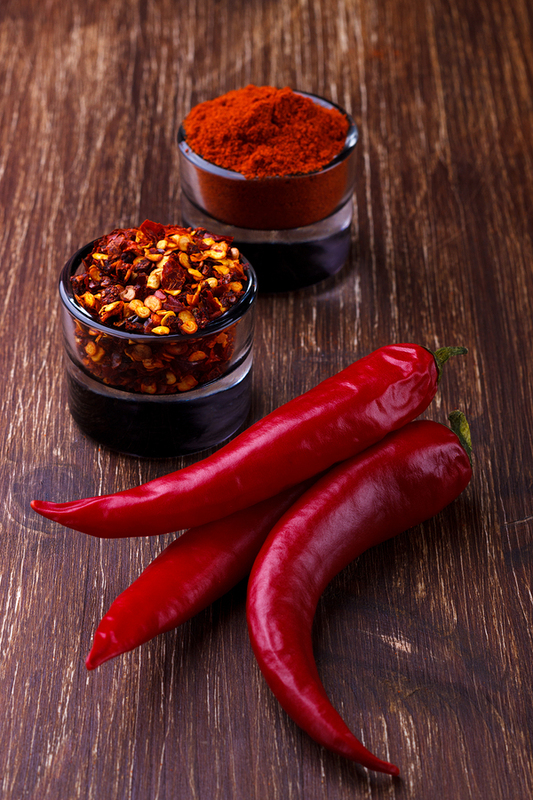 Instead of chili seeds, you may use one tablespoon chili tincture and 3 oz water. 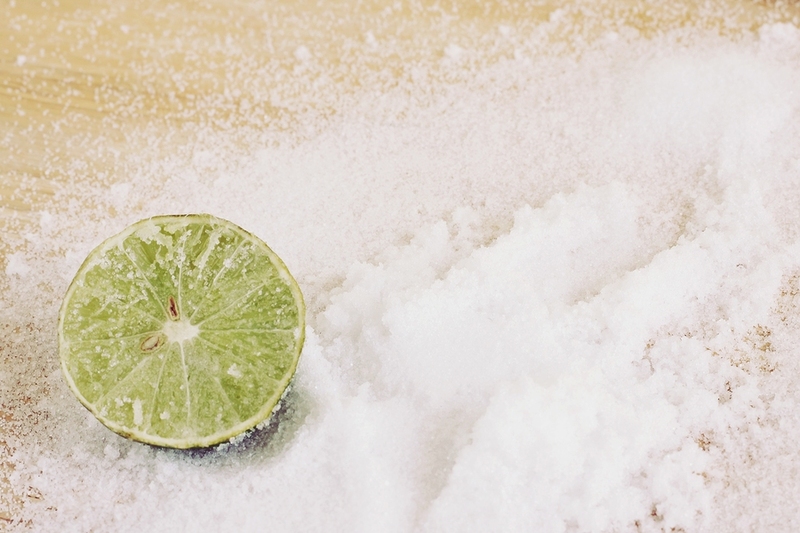 Baking soda is a vital ingredient that can be used to get a beneficial sore throat relief. This white powder may be found in every home and serves multiple purposes. I bet you used it at least for baking cakes. But it can clean carpets, teeth, and hair, too. Because it balances the pH in your mouth and prevents the bacteria from spreading, baking soda has therapeutic effects. Viruses and bacteria need an acid environment to grow, and they don’t like the alkaline way of living. 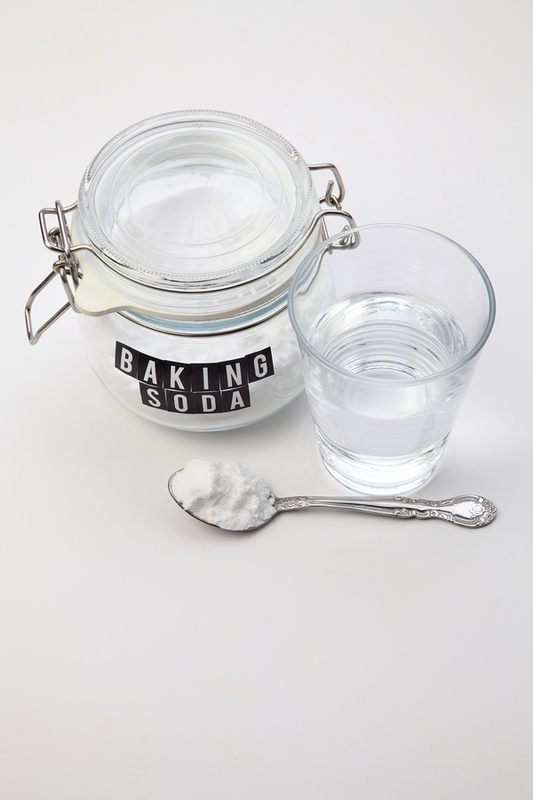 Dissolve the baking soda in water and gargle with this solution. 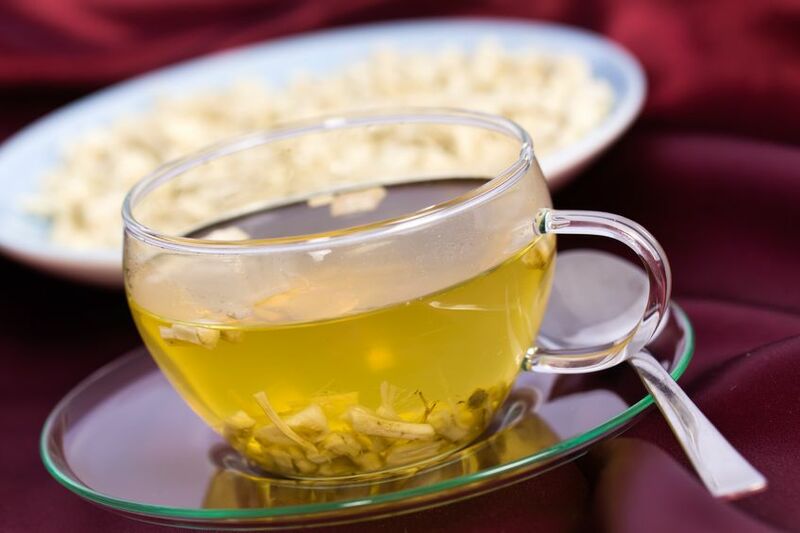 It will soothe the inflammation of the throat. 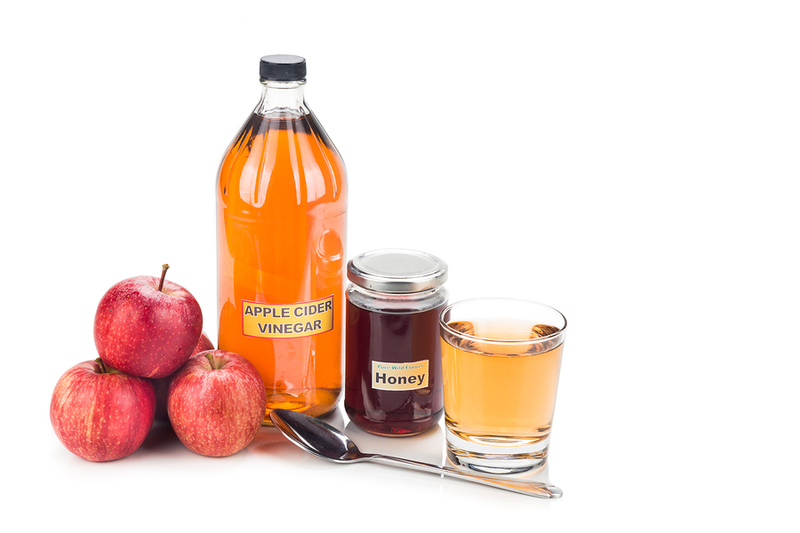 Apple cider vinegar is a “good for all” solution. Besides using it as salad dressing, it is well known for its antiseptic and antibacterial properties. So it can be used as a powerful home remedy for your sore throat. Mix these three ingredients and gargle with the solution. Do this every hour in the beginning, when the pain is tough. When things get better, gargle every 3 hours. You will see an improvement in no time. 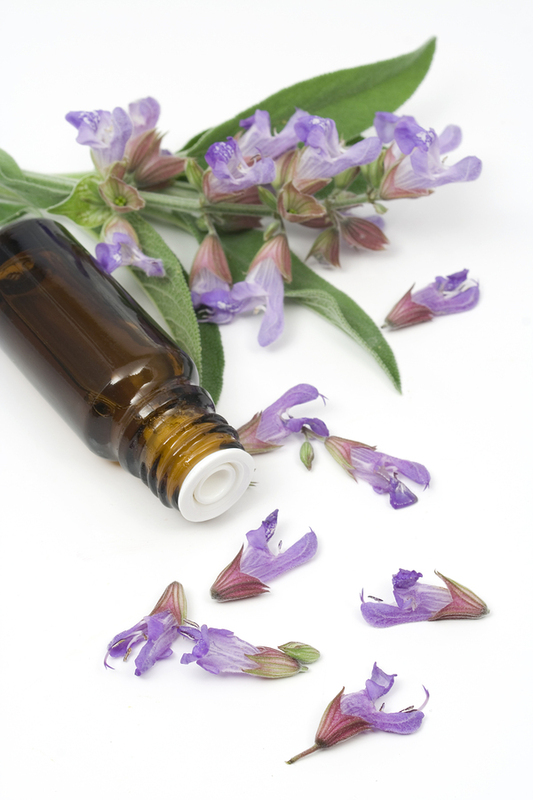 Thyme and sage, these two herbs have the power of fighting against a sore throat. Rich in essential oils and tannins, they have beneficial effects if used as gargle solution. In the case of inflammation of the throat and mouth, flavored sage essential oil has strong anti-inflammatory properties. Thyme possesses the same qualities as antiseptic and anti-infectious as sage. 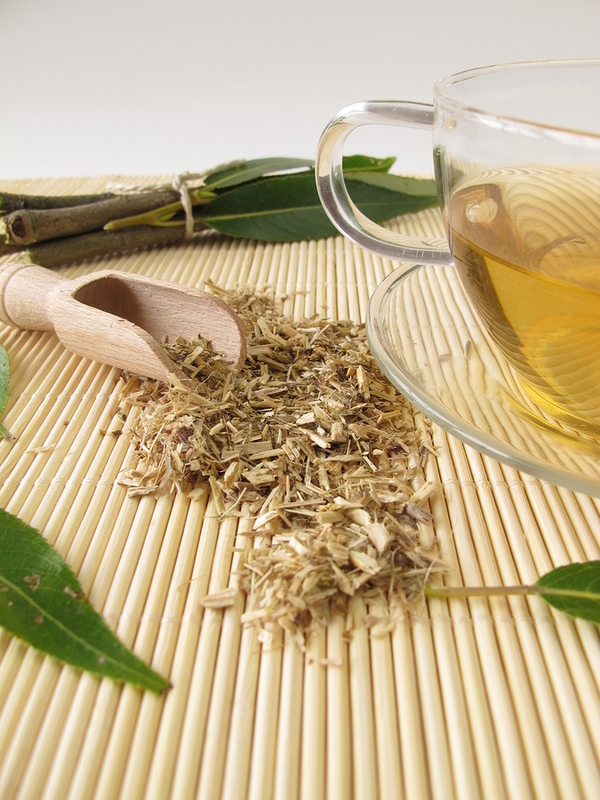 There is more than one way to use these two herbs as sore throat home remedies. You may choose to gargle with liquid from the infusion or with essential oils mixture. Place the dried plant in the hot water and let it steep for 10 minutes. Strain the liquid through a sieve and use the infusion’s liquid to gargle three times per day. You may use this sore throat home remedy for maximum three days per week. If you have some sage essential oil somewhere in your house, dilute the oil with 3 oz water and gargle with the solution two times daily, in morning and evening, for one week. The resin can relieve the symptoms of a painful sore throat and also strengthen the immune system. 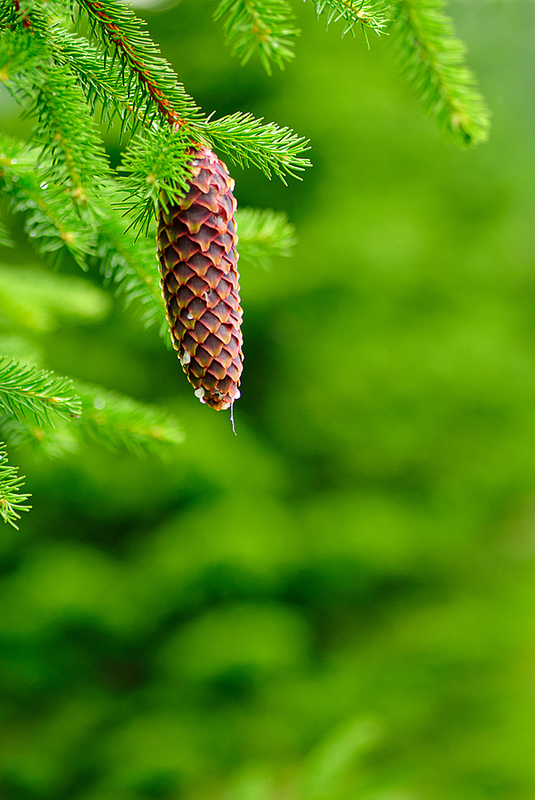 It is required to have two teaspoons pine resin tincture and a ½ cup of water. Just combine the tincture and the water, and gargle with this solution to benefit from the antimicrobial effect. 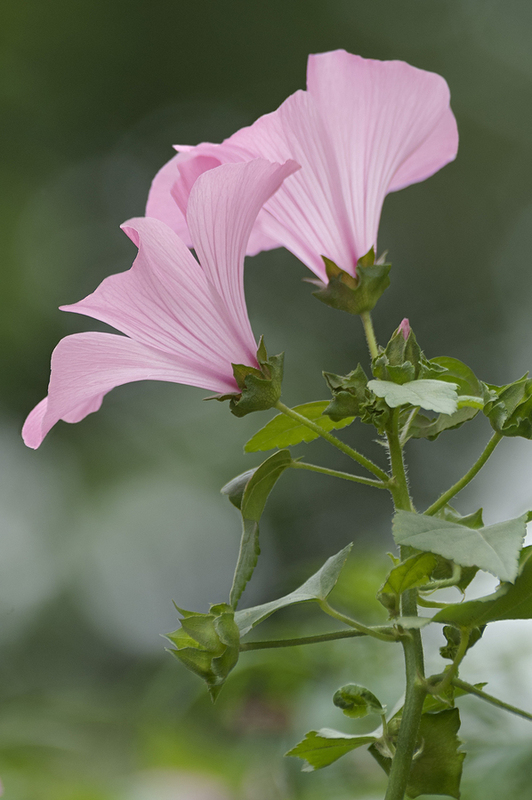 Mallow infusion has active principles that act as a strong emollient. For sore throat home remedies, use only the top of the flowers and leaves or chopped root. If you want to use, dried plants won’t have the same effect. Infuse only fresh parts. Combine the two ingredients in a glass container and set the cold infusion aside for minimum 6-8 hours or overnight. Filter the liquid and store it in the fridge. Gargle 3-4 times a day, trying to keep the liquid in your mouth as long as you can. Do that for three weeks and you will be amazed by the result. These two tinctures are perfect for sore throats because they act fast, and they have an antimicrobial effect, but they also stimulate your immune system. We’ve always admired these little or tall Thuja trees, but only recently discovered that people can use the leaves for therapeutic purposes. 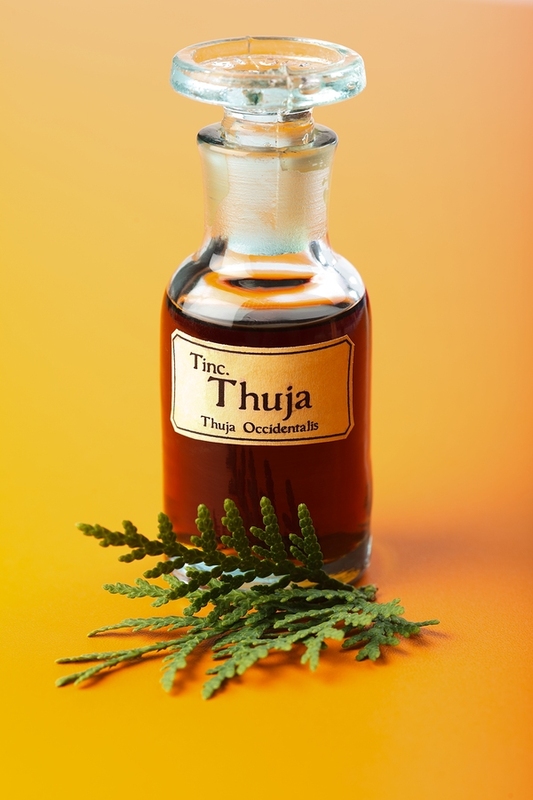 Combine Thuja with Echinacea tincture. Take two teaspoons and dissolve in some water. Gargle with the solution once a day. Clay can help with expectoration. So if your pain in the throat is due to some pus on your tonsils, white clay is the perfect home remedy for that. 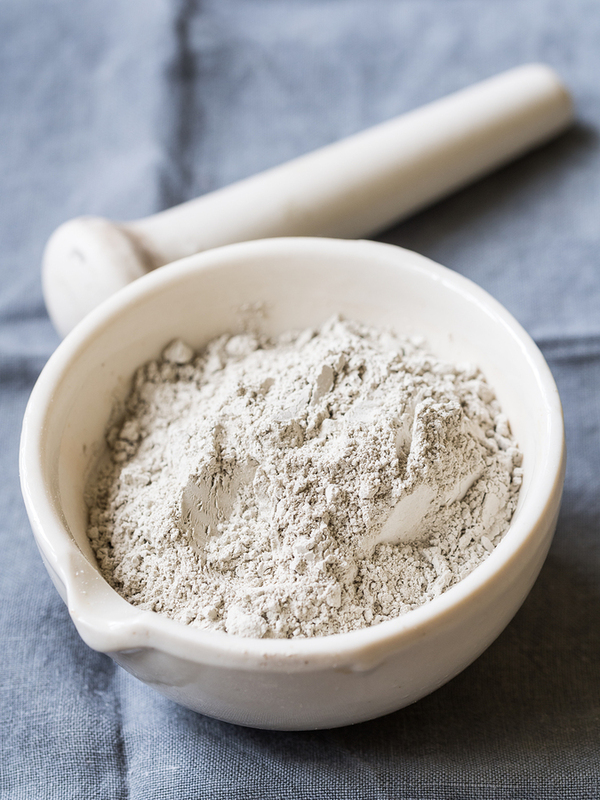 White clay causes no allergic reactions and is ideal for toddlers also. 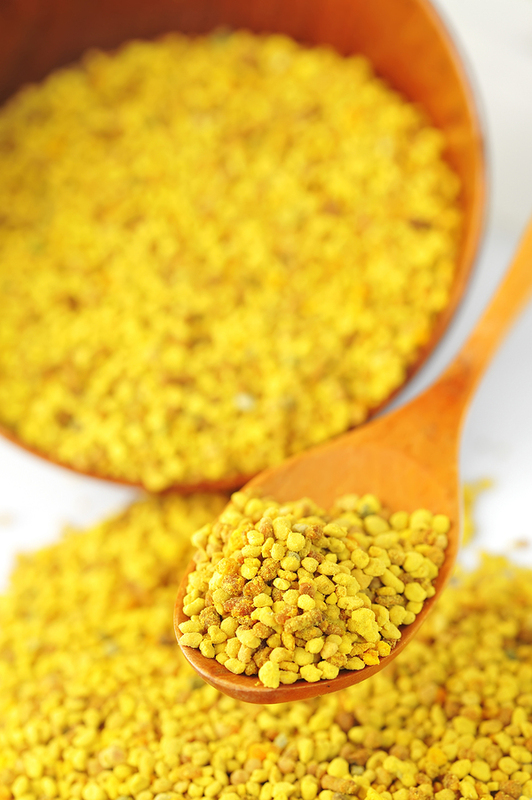 It can be gargled to deal with people’s sore throat. Mix the ingredients and gargle. Repeat this process 2-3 times daily for one week. After that, you can rinse your mouth with chamomile or sage tea. This herb doesn’t taste well, but it works wonders for peoples’ sore throat pain. It has antimicrobial and anti-inflammatory properties, therefore, it fights against the infection that raises the pain, reducing the inflammation in tissues. So forget about the taste and prepare the following solution. 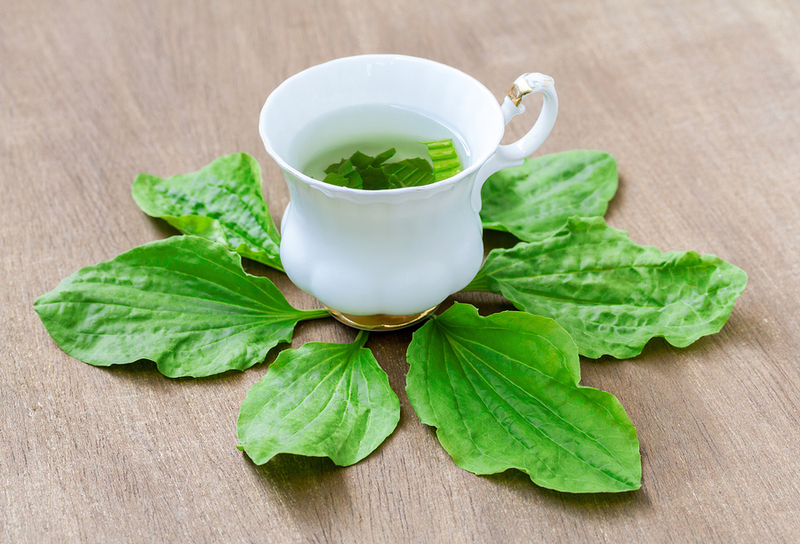 For this mix, you will need one teaspoon goldenseal tincture and one coffee cup hot water. Mix the ingredients and gargle with this solution. Do not swallow the diluted tincture. Remember when the dwarfs asked Snow White to make them a blackberry pie? Or was that blueberry? We don’t quite remember, but we are positive that they knew that blackberries (and blueberries) are a strong natural remedy. 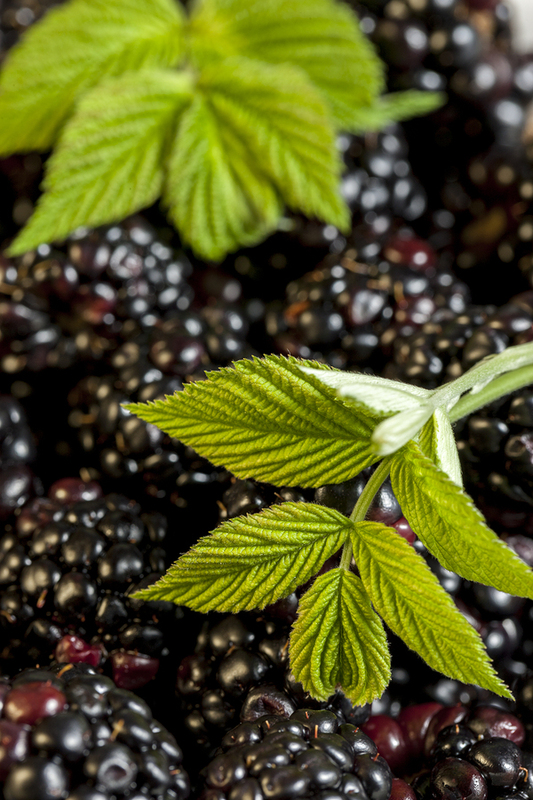 Blackberry leaves infusion will help you get rid of a sore throat in maximum 3-4 days. The result is 100% guaranteed according to Jean Valnet, a famous herbalist who studied thousands of plants during his medical activity. This is his original recipe. Mix the ingredients in a pot and bring to a boil. Boil for 2 minutes, and then remove from the stove. Let steep for 10 minutes and strain. Drink this infusion throughout the day and gargle a little bit before swallowing. 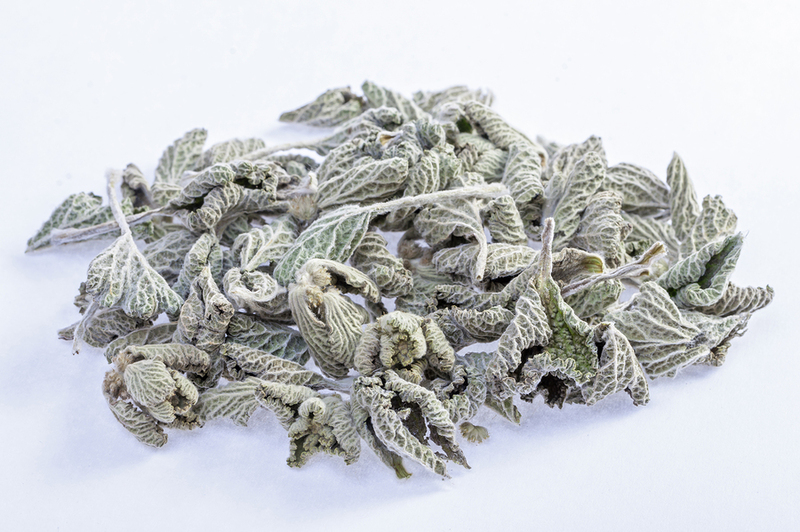 White horehound may not be as well known as other of its famous brother herbs. But you should know that it reduces the inflammation and clears the sticky mucous, therefore helping with your unpleasant sore throat. Pour the water over the herb and set aside for 10 minutes. Strain the liquid and drink the tea. You can add one tablespoon of honey for more flavor. Use 2 cups daily until the sore throat goes away. Slippery elm contains a mucilage that protects the mucous membranes and ease pain. Preparing a slippery elm tree will help you get rid of it quite quickly. Add a little bit of honey for a better taste if you like. For this sore throat home remedy you will need one teaspoon of elm bark, crushed, and 2 cups of hot water. Bring the water to a boil and add the bark. Boil for 1 minute. Strain and drink immediately. You may use 2 cups infusion daily. Chinese herbalists believe that ginger can treat a wide variety of ailments. It acts on the whole body, stimulating the immune system and fighting against free radicals. As healing your sore throat, you can simply chew a piece of ginger. But not everyone can do this as it is really hot. In that case, prepare a ginger tea. Pour the water into a medium pot and bring to a boil. Meanwhile, peel the ginger root and chop into small pieces. Add the ginger to the pot, cover and bring to a boil again. Turn off the heat, also let the infusion steep for 10 minutes more. Add to the infusion and drink. Rosehip fruits contain a wealth of vitamins: C, A, B, B2, PP, K. Many herbalists believe that the amount of vitamin C in these fruits is quite superior to the one in oranges (8 times more, according to some sources). 100 grams of rosehip fruits provide seven times the daily requirement of vitamin C for an adult. 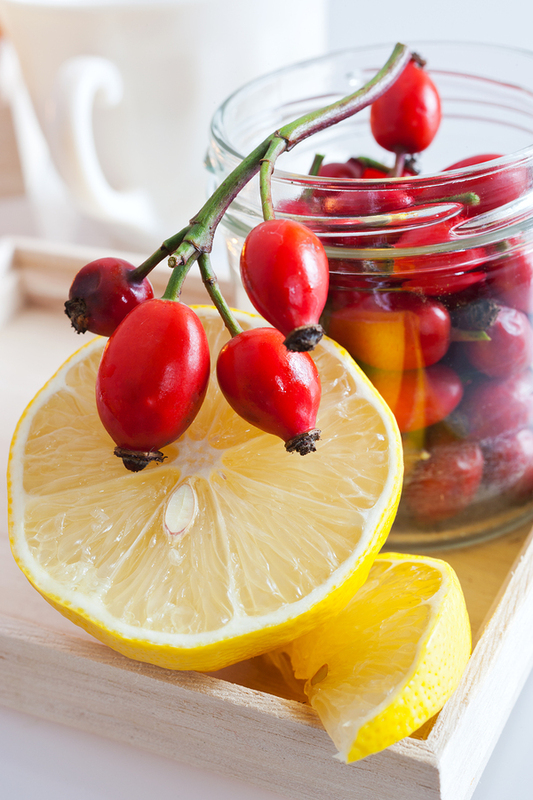 To soothe your sore throat using rosehip fruits you will need 1tablespoon dried rosehip fruits and 1 cup water. Pour the water into a kettle and bring to a boil. Add the dried fruits, cover and boil for 10 minutes. Let cool a little bit and drink 2 cups per day. Or you may prepare rosehip nectar, following the below recipe. Pick the fruits in autumn, when the weather becomes cold. This way, they will be very ripe and soft. Place them in the blender and pour water over it. If you need more water, add it slowly. Blend well and strain through a double cheesecloth to eliminate the hairs. Add honey to according to your taste. Serve a few tablespoons at a time, when you suffer from a sore throat. You can also use this nectar to strengthen your immune system. Transfer the nectar in tightly sealed bottles. Keep them in a dark, cool place. Combine the ingredients and gargle before swallowing. 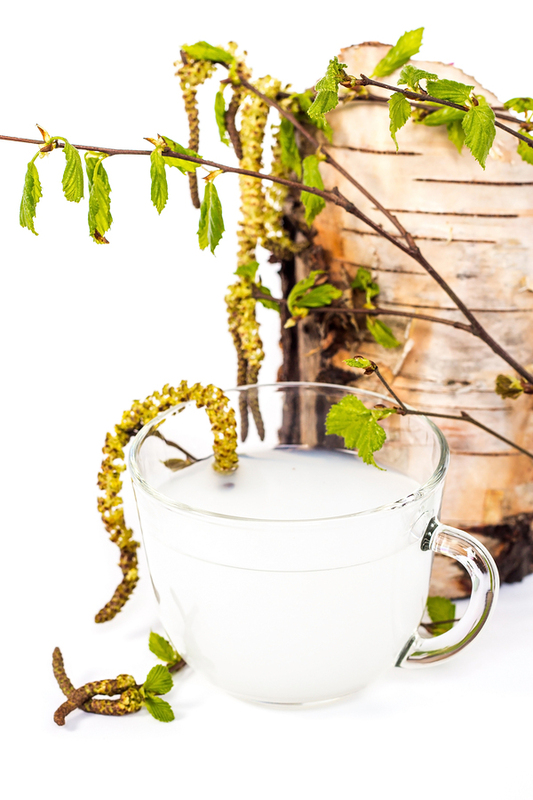 White willow bark serves as a natural aspirin, and it contains salicylic acid which has a sedative effect. A cup of willow bark tea will make you forget about it for a couple of hours. To use willow bark as a sore throat remedy, you will need two teaspoons dried willow bark and one cup cold water. Prepare a cold infusion out of these ingredients and set aside overnight. Strain and drink 1 cup per day. If you suffer from a nasty cough together with a sore throat (oh, what a delight! ), you may prepare infusions out of plantain. I remember when I was a little teenager and caught a cold, my mother used to cure me with plantain (tea or syrup). It worked every time. Plantain leaves have antibiotic compounds, enzymes, mucilage and vitamins like A, C, and K, which clean the respiratory tract and act as a remedy by reducing throat inflammation. Pour the water over the plantain leaves and steep for 2-3 minutes. Strain and let cool a little bit before drinking it. You may drink up to 4 plantain tea cups daily. Poultices will release pain just like a bandage does to a wound. These are a great way of relieving the painful sore throat. There is a lot of stuff you can use to make your cataplasm. 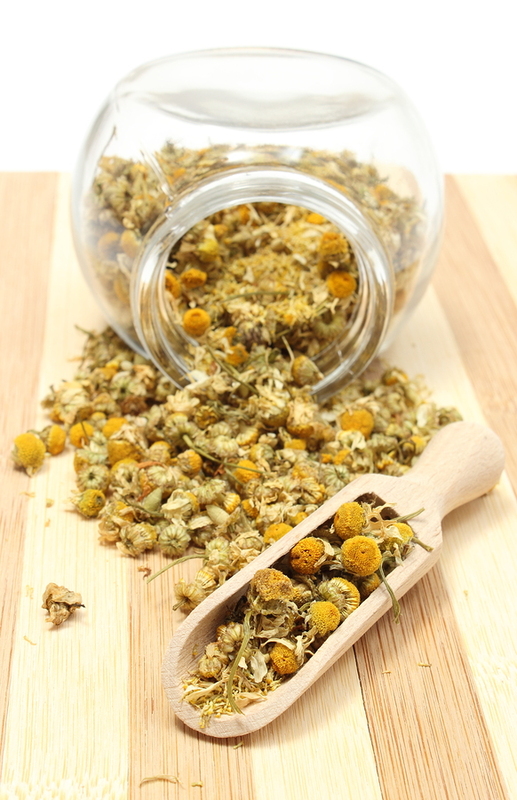 Use chamomile to prepare a poultice because it has a calming effect. Pour the water over the herbs in a cup and steep for 5 minutes. Transfer the cup content on a cloth, being careful when you handle the hot water. Let it drain a little bit, and then apply on the neck. Keep it there until it gets cold. Repeat several times / day. Instead of poultice you can also make a chamomile tea, drink it and breathe in the steam thru your nose and mouth. At the end of this procedure you will find your throat little more relaxed and the pain caused by your sore throat, slowly going away. Potato poultices reduce the inflammation, release the pain and they have decongestant properties. 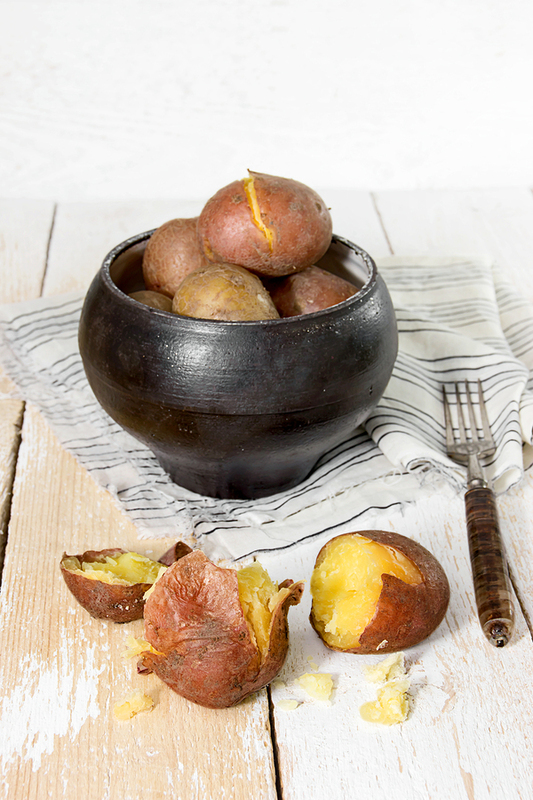 There are two ways you can use the potatoes as a healing outcome on your sore throat. If you use only raw potatoes, you need just two grated potatoes, one or two tablespoons of milk or apple cider vinegar. Combine the two ingredients. Add the liquid little by little so the mixture doesn’t get too fluid. Transfer it to a linen bag, place the bag directly on the skin and roll a towel or a scarf around the neck to secure it. Sleep with it overnight. Boil 2 potatoes with the peel on. Crush them with a fork and place in a linen bag. Cover your neck with a clean towel, lay on the bed and put the potato linen over the towel, so that you don’t get burn. Rest like this until the potatoes get cold. Leek is also well known for calming the sore throat. Emperor Nero used it to keep his voice strong. “Chop” one leek and place it in a pot. Add the white vinegar and cover with water. Then, bring to a boil and cook until soft. Remove the leek from the pot and transfer to a towel. Sprinkle some pepper and apply to the neck and chest. 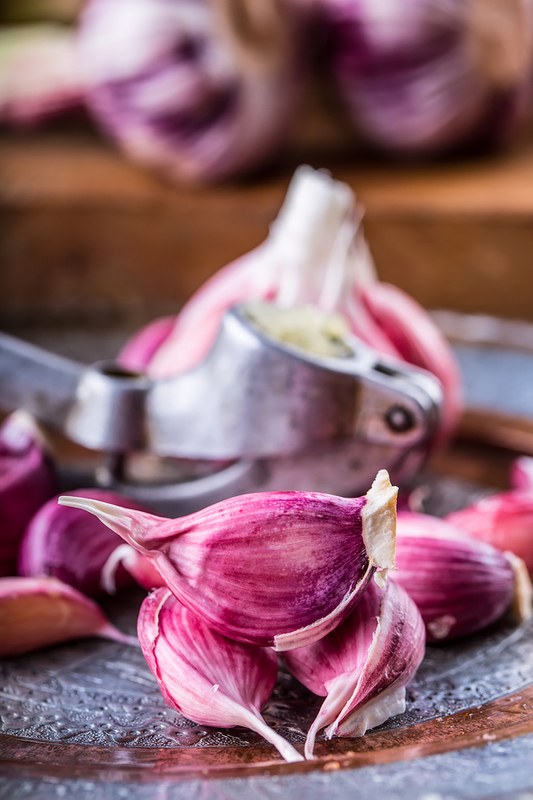 Garlic may not smell as nice as lavender, but it can help your sore throat fade away. Known for centuries as a natural antibiotic, garlic kills germs and bacteria which are bothering you and is also a painkiller, due to one compound named eugenol. Of course, you won’t be able to kiss someone on a date immediately after trying this remedy, but on the other hand, you might not even be able to have a date with it. Keep the cloves into your mouth and scrape them with your teeth from time to time to release some juice. When they become soft, imagine that you’re chewing a bad taste gum, just like the weird gum drops Harry Potter and his friends had in the movie. Sometimes this condition may be caused by dryness of the throat. You know, that times when you try to swallow, and your feel like your throat is like a desert with a cactus forest in it. And this happens because you can’t breathe properly due to the congestion. 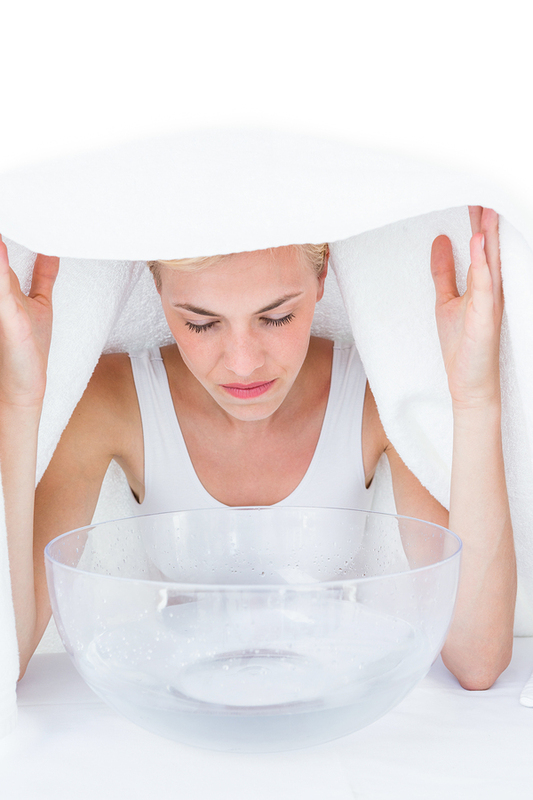 Using steam to relief your sore throat will help your secretions become fluid and therefore easier to eliminate. Bring the water to heat, boiling temperature, then transfer it to the bowl. Incline over the bowl and cover your head and shoulders with the towel so that you keep the steam inside and inhale it. Do this inhalation for at least ten minutes or until the water begins to cool. A sore throat can have multiple causes and multiple effects, like dryness, swelling or bacteria. A closer look and a little change to your diet will ease your way into healing and sometimes may even prevent it. The following natural juices (and I mean natural, freshly squeezed, not that “natural” juices from the supermarket) have a beneficial effect on the respiratory tract as well as your immune system. 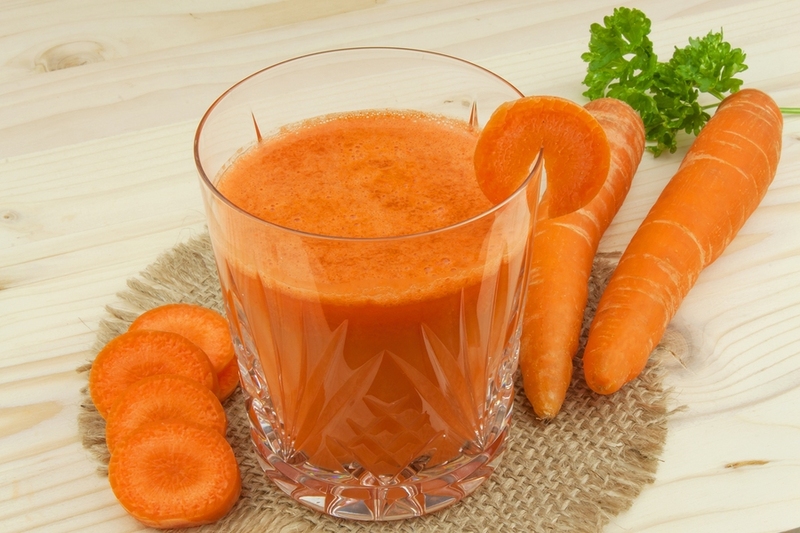 For example, carrot juice is rich in beta-carotene, a substance that increases the number of T lymphocytes which regenerate the mucous in the neck. You can drink 1 or 2 glasses daily, and your sore throat will diminish over time. Also, cabbage has a strong emollient, antiseptic and anti-inflammatory effect. You may also use turnips. Drink one glass of fresh cabbage or turnip juice per day. 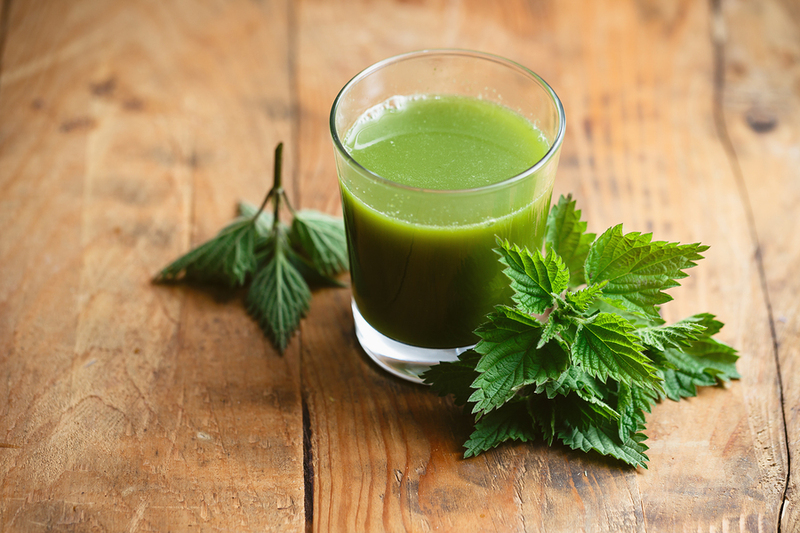 Nettles are extremely rich in chlorophyll, so nettle juice is an excellent blood cleanser. If you decide to make a nettles juice for your sore throat inflammation, then you will need one handful nettles. Run the nettles through a slow juicer and drink two tablespoons a day for a week. Yes, you drink two tablespoons, not 2 cups. Green barley is a tonic for the whole body. Not only your sore throat will be almost 100% cured, but you will feel energized and better than ever. 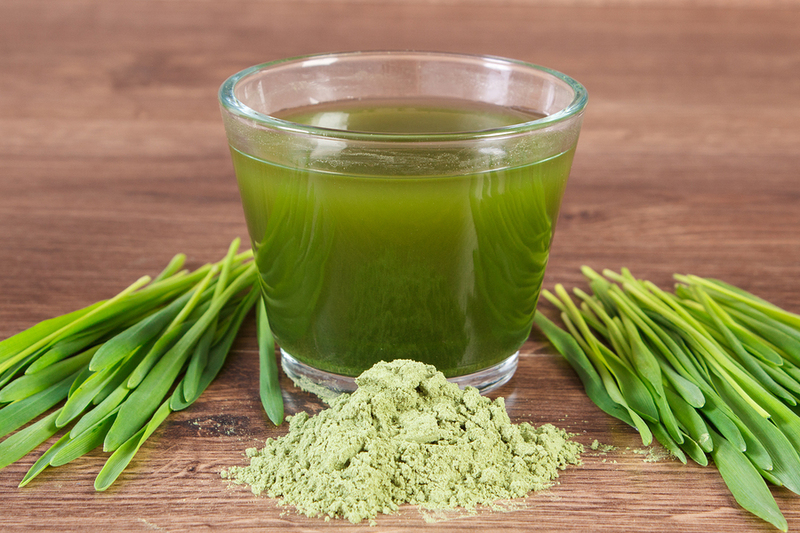 To make a mix from green barley, you will need one teaspoon green barley powder and 1 cup of water. 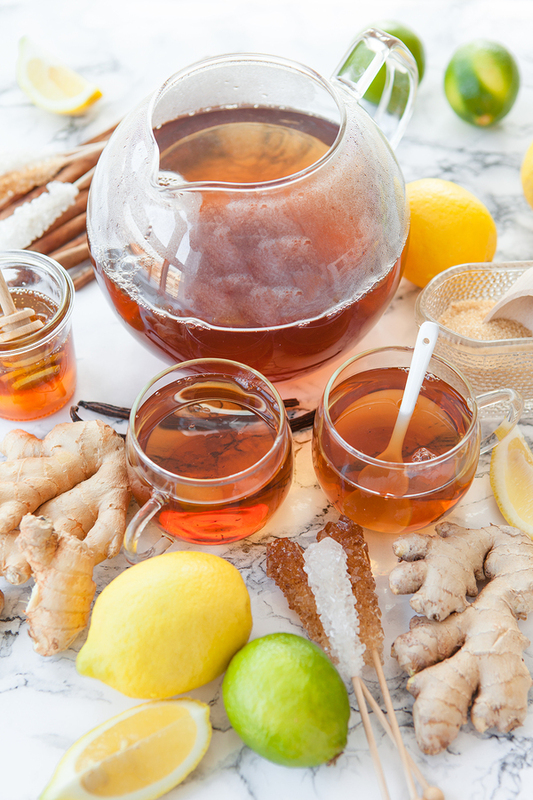 Just combine the ingredients and enjoy this healing drink. 26. Stay Away From Irritants! Even if you don’t smoke (which is strongly advisable), when you inhale some other person’s cigarette smoke, you throat won’t be very happy. It is better to stay relaxed at home and rest while you’re healing your sore throat. If you wish, you may take a walk in the park, but by all means avoid smokers and other places where irritating substances, like chemical dyes, are used. 27. Don’t Eat Ice Cream! Oh, I know, this is a tough one. But it’s not for good, only until your sore throat is completely healed. 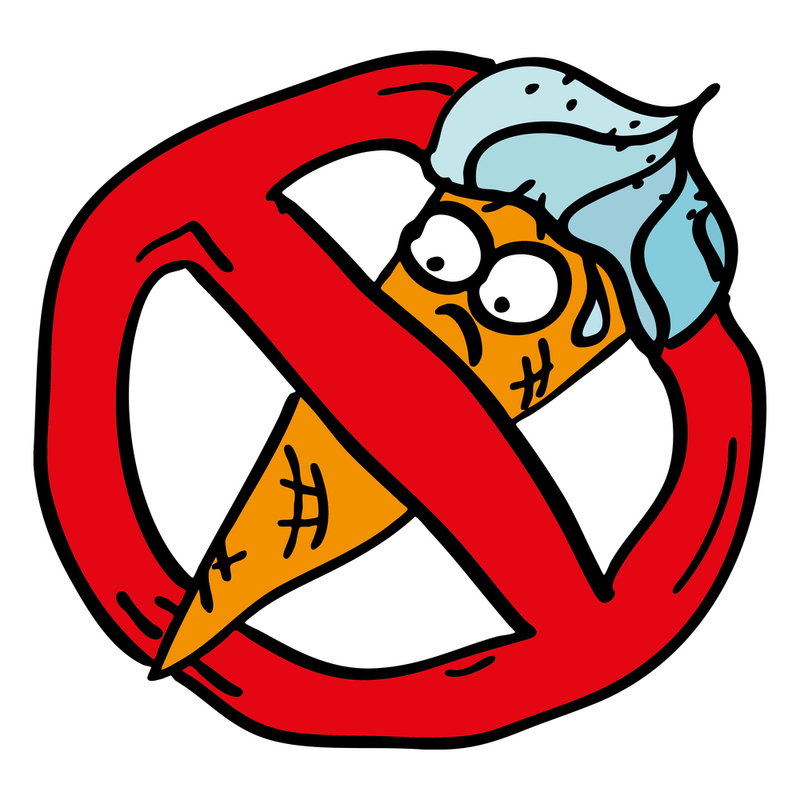 Cold foods favor the swelling of the tonsils and other tissues and will do a lot of harm. 28. Be careful – Don’t Drink Cow Milk! We won’t start a polemic here about the milk, whether it is good or not for human beings or only for calves. One thing is for sure. 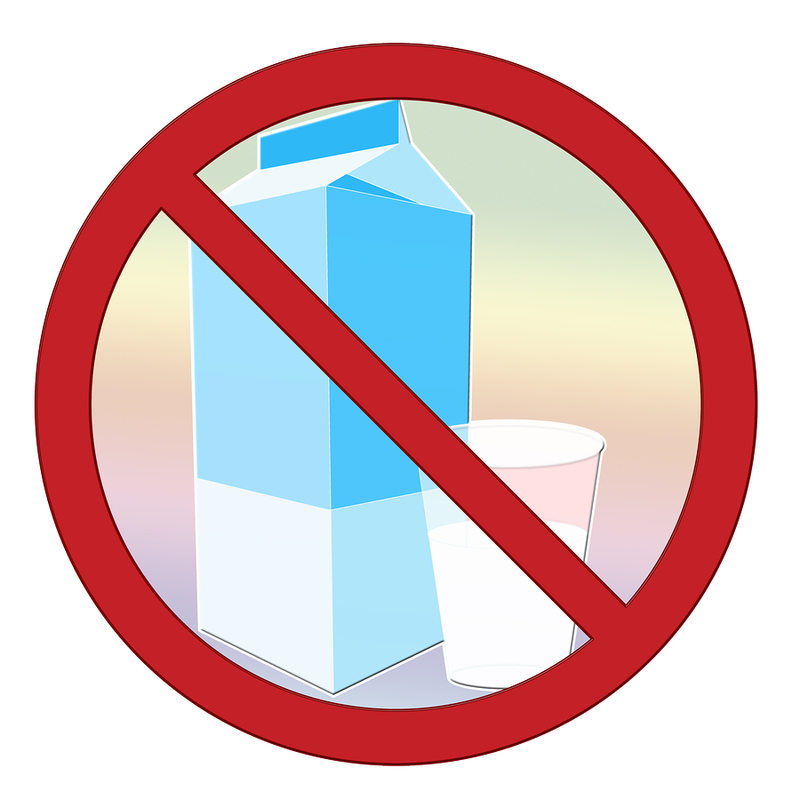 It is not advisable to drink cow milk if you experience a sore throat during that time. Also, milk helps produce a lot of excess mucus which loads the body cavities and sinuses. There are a lot of people who used to catch colds often and had great complications like pulmonary infections. After eliminating milk from their diet, the rate of illness decreased dramatically. This may be because not everyone has the ability of properly digesting this food. Lactose in the milk can only be digested with the help of an enzyme called lactase which cannot be found in every human body. In fact, approximately 60% of the world population has a lactase deficiency. Meanwhile, why risk a sore throat? Drink goat milk instead as it has a smaller amount of lactose. Or, you may try vegetable substitutes -like almond milk, soy milk or even rice milk with 1 or 2 tablespoons of honey to make it taste better. A close relative of the mallow is the marshmallow. Do you remember the remedy number 8 yes? I’m not talking about the ones that you roast when camping. As we said, it is the sister (or maybe cousin?) of the herb above. It contains mucilage that soothes the pain given by your sore throat. To put into practice marshmallow remedy, you will need two teaspoons dried marshmallow roots (grated) and one cup of boiling water. Steep the dried marshmallow roots in water for 10 minutes. Wait for another 5 minutes and you may strain and drink 3-5 cups daily. Squeeze the lemon and warm the juice. Mix it with the salt and place the mixture on the neck. Cover with a thick towel and let the poultice stay there for one hour. Read a good book meanwhile. Or take a nap. So, it is advisable that you have lots of lemons, jars of honey, pollen, propolis and aloe vera at your home. And don’t forget the salt, your food will also taste better. Gargles are efficient in treating sore throats because they act locally. A sore throat is given by the inflammation of the throat caused most often by streptococci and staphylococci action or a pneumococcal infection, but may also have a viral origin or accompany other respiratory diseases. These are not modern ailments; our great-grandfathers have experienced it too. Therefore, we must be confident that the natural remedies are quite effective even today. Trusting nature’s ability to provide the best solutions is the best thing we can do. Conventional drugs are created to treat only the symptoms which mean that the condition and what caused it are still there. 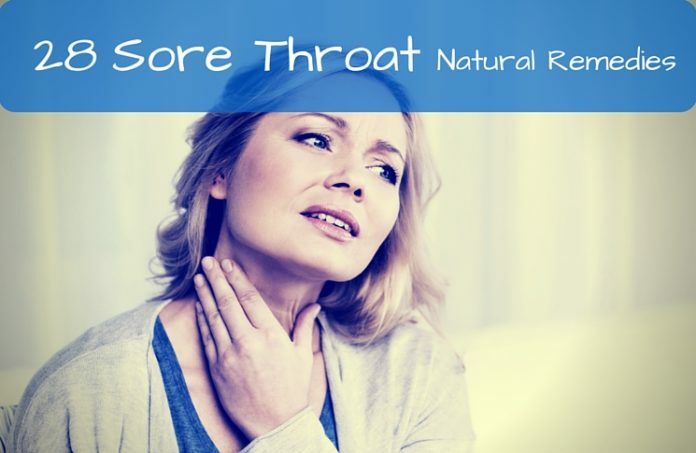 This is why most of the sore throat remedies presented in this article have two effects: soothing the pain and stimulating the immune system. Using them will help you remain strong and healthy. You don’t need to try them all at once and try to consider what is best for you. Our bodies react different to treatments and what helps someone, may not help you.